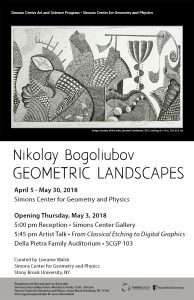 The Simons Center Gallery is pleased to announce the opening of GEOMETRIC LANDSCAPES, a solo exhibition featuring work by the artist and mathematician Nikolay Bogoliubov. A consummate printmaker and painter, Bogoliubov is a member of the Union of Artists of Russia. Working in a variety of print methods, his favorite technique is etching. Other media include colored pencils, gouache, pastel, and acrylic. His artwork is held in private collections in Russia, Europe, and the United States. 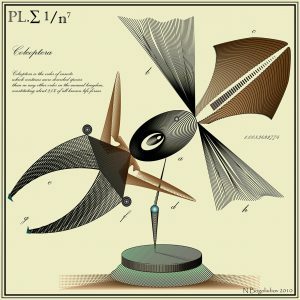 Bogoliubov received the Computer Graphics award at the 2014 Second International Triennale of Graphics in St. Petersburg. 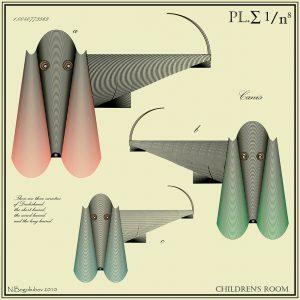 As a scientist, Bogoliubov experiments with computer graphics and digital technology. He holds a PhD and Doctor of Sciences in Mathematics from Saint Petersburg State University, Russia, and is currently based in Saint Petersburg. 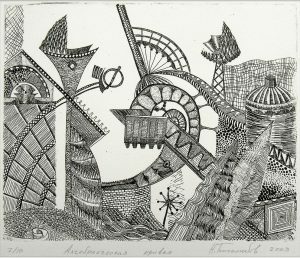 Nikolay Bogoliubov’s art will include three distinct forms of printmaking on view in the Simons Center Gallery: etching (part of the intaglio family), collagraphy, and digital printmaking. For more information visit http://scgp.stonybrook.edu or call 631-632-2800.